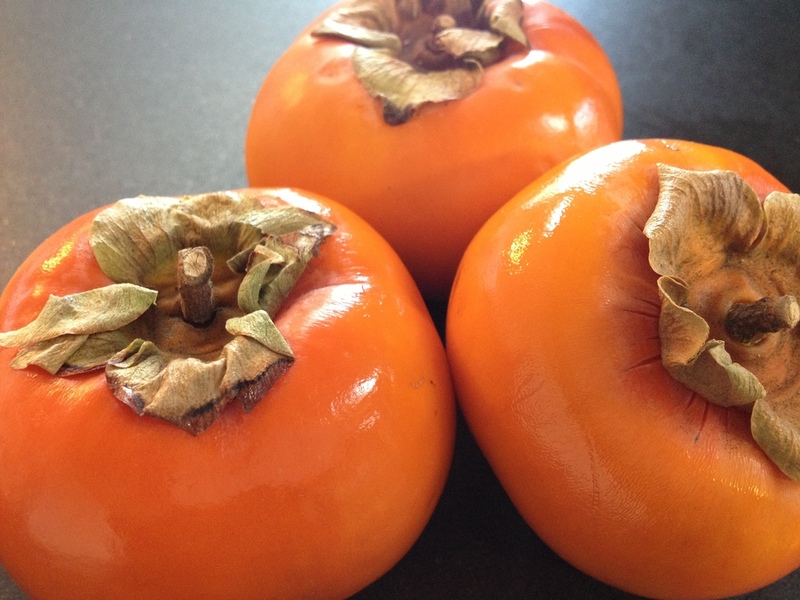 The versatile Japanese Persimmon or Kaki! (kaki [柿]) or Japanese Persimmon is a wonderfully sweet fruit that is seasonal in the months of October and November. The Japanese Fuyu variety, as opposed to other varieties that tend to be very bitter when picked, can be eaten like an apple up through to any stage of ripeness. If you've seen a kaki tree, you may know that kaki are picked at their ripeness when a tree's leaves naturally fall off. It may seem a litle odd to look at such beautiful vibrant dark orange fruit hanging on a tree that almost looks like it's dying, but that's what makes this beautiful fruit so unique and interesting! When I was little, I didn't always have the fondest memories of eating kaki because I remember that sometimes they were really bitter and seemed to make my mouth feel like it had been sucked of all moisture. Now I know that this is true - that you can find kaki that are bitter and you can find kaki that are just right. If you stick to the Fuyu variety that has less tannins, you shouldn't get any bitterness. 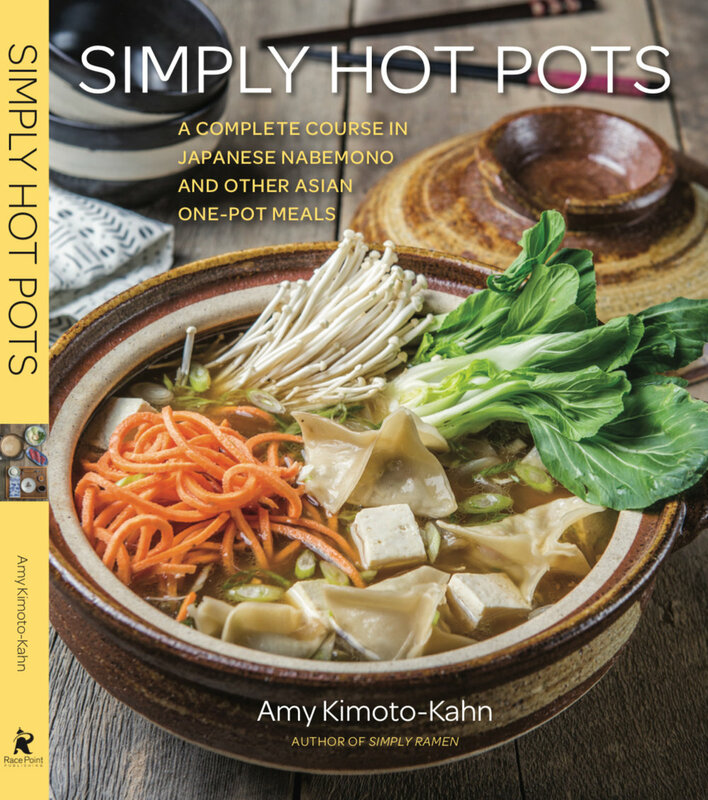 You're probably seeing kaki in grocery stores now and may not know what to do with it. When buying Fuyu Persimmons, choose ones that are firm with vibrant red-orange color all around. I like to eat mine like an apple. When they are hard, you can bite right into it or cut it into slices with the peel on. Or, you can peel it and julienne cut it for use in salads. You can add it to coleslaw to give it a little sweetness or put it in a sandwich to give it a delightful crunch. They can be dried out and you can eat them as a healthy snack or dip them in chocolate. When they are soft, you can make jams, chutneys, and purees. I've seen it used in risotto, baked into cookies, used in salsa, even put into latkes. It is really one of the most versatile fruits - so don't be afraid to try it the next time you are at the grocery store, you won't be disappointed! In a blender, combine lime juice, water, white miso, black pepper, and salt. Blend until smooth. With the blender running, slowly pour in olive oil. Stop pouring the olive oil a couple of times throughout this process, with blender running, to insure that the emulsification is forming well. Season to taste with additional salt and pepper. Place fresh spinach leaves in a serving bowl. Toss the spinach with a few tablespoons of the miso dressing. 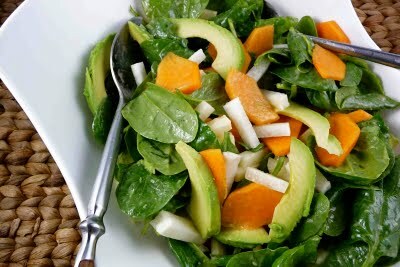 Add the persimmon, jicama, and avocado and toss with a 2-3 additional tablespoons of dressing, to taste. Serve.